September 25, 2017, West Lebanon, NH: at 1325 hours the Lebanon Fire Department received a report that the building above was filling with smoke and that there might be a fire in the kitchen. While en-route Lebanon Communications provided an update that there was now a report of three people with unknown injuries. Upon arrival of Lebanon Car 1, Chief Christopoulos reported a light smoke condition in the building and all occupants had evacuated. 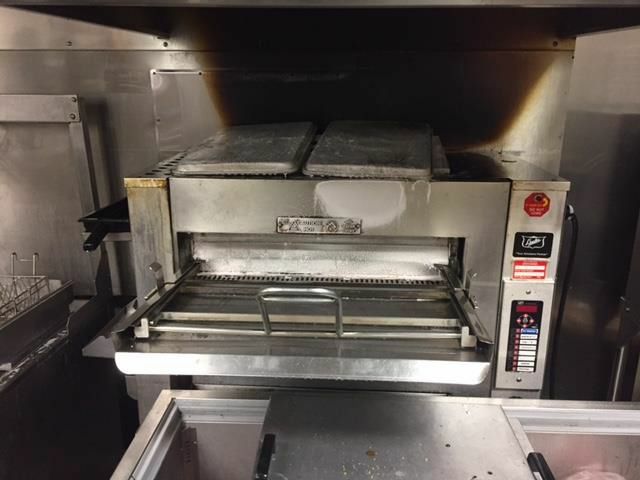 Employees reported that there was a grease fire in the kitchen. Upon further investigation, the fire was found to be extinguished by the range hood fire suppression system. The fire was declared under control at 1333 hours. One occupant, a 33-year-old female was evaluated on scene by Lebanon and Hartford Firefighters for smoke inhalation and transported to Dartmouth Hitchcock Medical Center by the Hartford, VT Fire Department ambulance. The fire was contained to the unit if origin and personnel assisted with smoke evacuation. There were no other injuries. Burger King will remain closed until further notice while they work to restore the fire protection systems and clean the area involved. Questions related to this incident should be directed to Chief Chris Christopoulos at the Lebanon Fire Department at (603) 448-8810.